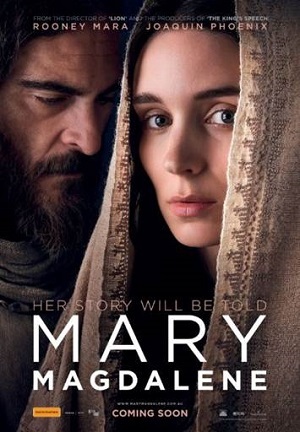 A stirring and sure to be controversial biblical drama, Mary Magdalene takes to telling the story of its disputed subject with engaging performances and a quietly assured confidence sure to rile those of traditional faith-based views. It is that knowledge, belief and spirit which director Garth Davis (Lion) brings to every frame of Mary Magdalene. Written by Helen Edmundson (An Inspector Calls) and Philippa Goslett (Little Ashes), this is very much a Biblical film for this “Time’s Up” generation we are living in, with a feminist narrative placed alongside mostly faithful depictions of the Gospels. Exactly how traditional believers of the faith will take to its proclamations will be seen (perhaps not so well). Yet others both believer and non-believer will find a biblical film alternative akin more to Last Temptation to Christ, rather than Son of God. The film begins with Mary (Rooney Mara) ostracised from her family, after she refuses to marry the man chosen by her brother Daniel (Denis Menochet). 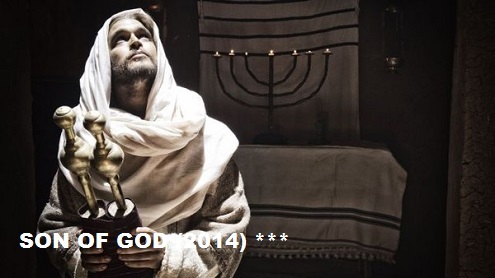 It is at this moment that a charismatic prophet named Jesus of Nazareth (Joaquin Phoenix) enters her life. Drawn to this man and his message, Mary leaves home and follows Jesus and his apostles as they make their way to Jerusalem, where Jesus’ true message will reveal itself. It is important to state that in no way does Mary Magdalene delve into any sort of Dan Brown-esque assumptions about a romance between Jesus and Mary. Nor does it follow the “Mary Magdalene is a prostitute” narrative that was the norm for centuries, yet since corrected with the Vatican declaring in 2016 that Mary Magdalene is the “equal of equals”. However, there are moments that will make some gasp. Most notable is a scene that declares only Mary held the true vision of Christ’s church to the disgust of Peter (Chiwetel Eljiofor) who, nursing a wounded ego, would state that it was he and only he who would be the rock upon which to build Christ’s church. It is an adventurous claim, to be sure, but within the vision of this biblical narrative that Davis represents, it’s one that is in tune with its narrative. The films strengths lie within its wonderful performances. 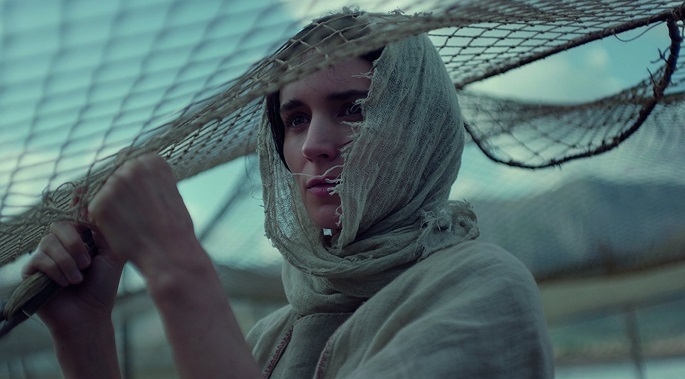 Rooney Mara delivers a deeply heartfelt introspective turn as a woman escaping the shackles of an oppressive tradition, and choosing to follow the path of light, love, forgiveness and the promise of new life. 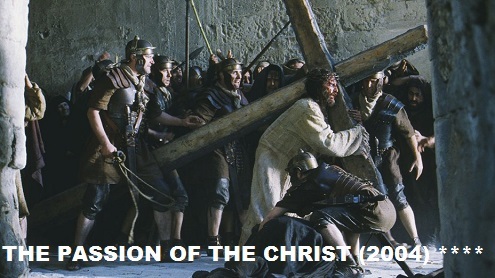 The stand out however is Joaquin Phoenix as Jesus Christ, an example of inspired casting in which the multiple Oscar nominee delivers a sympathetic performance as Christ both man and Son of God. Biblical films have slowly crept back into the mainstream over the last several years, yet rare is one as adventurous and thought provoking as Mary Magdalene. Davis has presented a new aspect to the traditional biblical narrative that many believers and non-believers would have not known about. At the very least, one would hope that his equally sincere and rebellious presentation of this story will offer a new glimpse into perhaps the most important moment in the history of mankind.